K. Don Pederson and Ray Hengel started the Land Surveying and Civil Engineering Company in 1967. They began laying out residential subdivisions and performing consulting services for local municipalities. The company remained very active in the residential expansion of the City of Onalaska , Village of Holmen and the City of La Crosse . In 1998, the company was purchased by Fred Hilby, who continued the tradition of providing quality workmanship to the customer. With continued growth, upgrades were made, including adding a Global Positioning System, AutoCad and Eagle Point Software. La Crosse Engineering & Surveying Co. continues to provide Land Surveying and Civil Engineering services throughout La Crosse , Trempealeau, Monroe , Vernon , Winona (MN) and Houston (MN) Counties. The company will continue to grow and provide a good product. La Crosse Engineering & Surveying uses a Gobal Positioning System while in the field, and the latest in AutoCAD and Eagle Point software in the office. Pete grew up in the City of La Crosse . 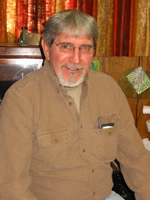 He has been in the Land Surveying profession for more than 42 years. He is one of the original owners of La Crosse Engineering & Surveying Co. He holds professional Land Surveying licenses in Wisconsin and Minnesota . Pete enjoys getting out in the field and doing the calculations on the spot. He has also never found a description too tough to figure out. Fred grew up in the La Crosse area. He received a Bachelor of Science degree from the University of Wisconsin-Platteville in Civil Engineering and has worked in the La Crosse area since 1995. In 1998, Fred took the opportunity to expand into owning a business, and he has not looked back. Fred holds Professional Engineer licenses in Wisconsin and Minnesota . Luke grew up in the Trempeauleau area. He received an Associates Degree in Civil Engineering/Land Surveying from Madison Area Technical College . 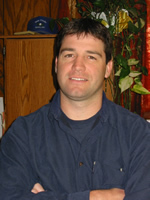 Luke has worked with La Crosse Engineering & Surveying Co. since 2002. He enjoys surveying the many bluffs and woodlands of the 7 rivers region. According to Luke, the thicker the woods, the better. It beats office work anytime. Andy is the newest addition to La Crosse Engineering & Surveying Co. He grew up in the Caledonia, MN area and is convinced if it is from Minnesota , it has to be better. He received a Bachelor of Science degree from St. Cloud State University in Land Surveying & Mapping.